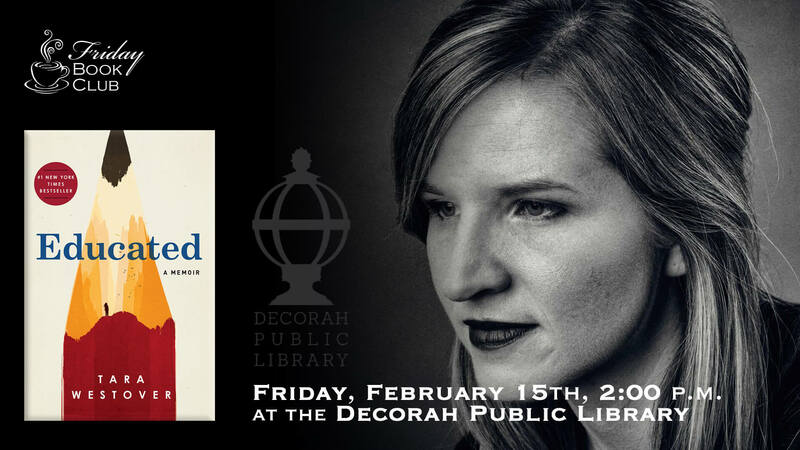 The Friday Book Group will meet at 2:00 p.m. Fri. Feb. 15th on the 2nd floor of the library to discuss Tara Westover’s “Educated.” Westover was 17 the first time she set foot in a classroom. Born to survivalists in the mountains of Idaho, she prepared for the end of the world by stockpiling home-canned peaches and sleeping with her “head-for-the-hills bag.” Lacking any formal education, Tara began to educate herself: she taught herself enough mathematics and grammar to be admitted to Brigham Young University, and her quest for knowledge eventually took her to Harvard and Cambridge. Only then would she wonder if she’d traveled too far.